Calculating a patient’s cardiovascular risk is relatively easy; communicating this to patients in a way that assists their decision making can be challenging. This is because patients and health professionals often think differently about cardiovascular risk. To empower decision making and self-efficacy among patients clinicians can choose to frame information in a variety of different ways. Cardiovascular risk management is central to general practice. The current approach to this involves calculating the patient’s cardiovascular risk, helping patients to understand what their risk means, and empowering patients, especially those with high cardiovascular risk, to make changes to reduce their risk. During these discussions if information is not delivered in a way that the patient understands then their ability to make informed decisions that are beneficial to their health is likely to be limited. In New Zealand, an equation based on Framingham data is used to calculate combined five-year cardiovascular risk. While this equation is not a perfect predictor of outcomes, it is very good at identifying those patients who are at a higher risk of experiencing a cardiovascular event.1 The five-year cardiovascular risk combines key factors into an overall risk. This is intended to assist patient understanding, and allows clinicians to have an overview of the patient’s health, rather than focusing on individual risk factors. The goal of the health professional is to help the patient to lower their overall cardiovascular risk and to place the patient’s cardiovascular risk in the context of other co-morbidities, e.g. chronic obstructive pulmonary disease (COPD). or in the New Zealand Primary Care Handbook 2012. Patients are more likely to take responsibility for managing their own health if they are actively engaged in treatment decisions and their family/whānau are encouraged to be involved.4 Being actively involved in self-management means patients are also more likely to be satisfied with their treatment.4 For shared decision-making to be meaningful patients need to understand the reasons why health professionals are making recommendations. Therefore discussions with patients about cardiovascular risk are crucial. These become even more important when the balance between the advantages and harms of a treatment are finely weighted, e.g. treating patients with statins when their cardiovascular risk is moderate; a strong patient preference for longevity of life or avoidance of adverse effects may be the difference between treating, or not treating. Following a cardiovascular risk assessment all patients should be given the opportunity to discuss their result, regardless of their level of cardiovascular risk.5 Some patients may appreciate being offered the opportunity to do this with whānau/family being present. The outcomes of this discussion will be influenced by the ability of the health professional to deliver information so that it is understandable to the patient. Health professionals who do this well will naturally adjust the complexity of the discussion and use different tools to explain concepts, as appropriate to the individual patient. Cardiovascular tools should therefore be used as a prompt for discussions about cardiovascular risk, with clinical expertise helping individual patients understand their risk. In New Zealand cardiovascular events are defined as a diagnosis of: myocardial infarction, new angina, ischaemic stroke, transient ischaemic attack (TIA), peripheral vascular disease, congestive heart disease or cardiovascular-related death.9 Depending on the patient’s experience and level of health literacy, terms such as stroke, heart attack and cardiovascular disease can mean different things.10 For example, if a patient has a relative who has had only a minor TIA then they may not be overly concerned about their likelihood of experiencing a similar event. Presenting a balanced and accurate picture of the morbidity and mortality associated with cardiovascular events will help some patients to make informed decisions (see: “The morbidity and mortality of cardiovascular disease”). For patients who are at increased risk of cardiovascular disease due to non-modifiable factors, e.g. age or an early family history of ischaemic heart disease, it is important to acknowledge that these are outside the control of the patient and yet may contribute substantially to their risk. Conversely, it is important that patients understand there are a number of modifiable risk factors that they can alter to improve their health. A series of interviews with 25 Māori patients in Northland with ischaemic heart disease, found that Māori patients were often aware of family histories of cardiovascular disease and that there was a genetic component to cardiovascular risk.12 However, it was also found that these patients had less of an understanding of the impact of lifestyle factors on cardiovascular risk.12 This small study shows the need to explore patients’ awareness of the factors that contribute to their cardiovascular risk. Presenting risks as frequency statements, rather than single event probabilities, has been shown to reduce the likelihood of information being misunderstood.13 For example, if the patient has a five-year cardiovascular risk of 15%, then it is more useful to tell them that 15 out of 100 patients like them will experience a cardiovascular event over the next five years. Doing this removes the potential for confusion over reference classes.13 For example, some patients may think that a 15% risk of a cardiovascular event refers to a 15% heart attack, which they may perceive as a mild or small heart attack, while other patients may think there is a 15% chance they will have a heart attack every day, and become highly anxious. When “making recommendations” it is easy for health professionals to narrowly suggest one course of action as outlined in a guideline, rather than helping patients see all of the options that are available. A wider perspective gives patients a number of options to consider, and for some, a sense of empowerment. When discussing the options available, the status quo, i.e. no change, is also a possibility. This “options approach” fits well with the process of informed consent, where patients are entitled to the risks and benefits of all reasonable options of care. Many patients will be at the contemplative stage of change, and need time to think before deciding whether to begin a particular cardiovascular risk reduction treatment. This may involve discussion with family/whānau, or require more than one consultation with a health professional. Remember that, for many patients, beginning long-term treatment for a chronic condition is a negative milestone in their life. Furthermore, the daily process of “taking pills” reminds them that they have a long-term medical condition. Denial and avoidance of “pill taking” can therefore be understood as natural human reactions in this context. Encouraging patients to think of pills as a positive step, helping them to live long enough to see grandchildren marry (or another goal that is important to them), may help to change this mindset. It is easier for a patient to achieve a clinically significant reduction in a risk factor that is very high than it is for one that is mildly abnormal.5 Patients need to understand this when choosing between treatment options. For example, smoking cessation is likely to be of increased importance to a patient with elevated risk who has respiratory symptoms due to COPD. Lifestyle interventions can be presented as an alternative to medicines, e.g. “if you managed to lose a few kilograms by September I don’t think there would be a need for you to start taking pills for hypertension.” It will also often be necessary to treat multiple risk factors simultaneously.5 Regardless of what level of cardiovascular risk a patient has they should be encouraged to exercise regularly, for example 30 minutes on most days. 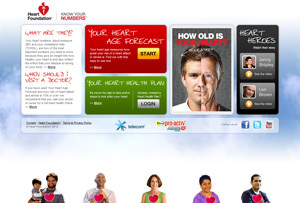 The New Zealand Heart Foundation has provided two graphical online tools, one for health professionals (see: The “Your Heart Forecast” tool) and one for the general public. Both tools are designed to communicate, rather than calculate, cardiovascular risk. * The “Know Your Numbers” tool is available to all people and is intended for use without the support of a health professional. This tool does not include the physical effects of inactivity in its calculation, although it does recommend exercising on most days for 30 minutes. * When calculating a patient’s five-year cardiovascular risk it is important to use a validated decision-support tool, or the New Zealand Cardiovascular Risk Charts. It has been shown that when patients are presented with information in the form of absolute risk they have an increased understanding, but are less likely to take action to reduce their risk based on this information.16 Presenting the benefits of a cardiovascular intervention in terms of relative risk reduction is often more motivating for patients, but information presented solely in this manner can be easily misinterpreted,2 raising the issue of informed consent.7, 13, 18 Increasingly, it is being recommended that risk reduction should be presented in absolute terms, where possible.2, 20 An example of the way that information about absolute risk reduction could be conveyed to a patient with a five-year cardiovascular risk of 20% who smokes would be: “If 100 people like you stopped smoking, then every five years there would be at least five fewer CVD events among these people*.” However, clinical experience and patient knowledge will ultimately decide the preferred method of presenting information about cardiovascular risk to a patient. Checking with the patient that they have understood the intended meaning of the example is recommended whatever method of explanation is chosen. Writing down goals and sharing them with others is likely to make them more concrete and may mean the patient has a greater chance of achieving them. Cardiovascular interventions should aim to improve aspects of life that are important to the patient and their family/whānau. Health professionals who have a longstanding and trusting relationship with patients and their family/whanau are likely to understand some of the personal motivators for engaging patients with cardiovascular interventions. Asking patients “what makes you smile?” is a good way to find out what they enjoy, and this answer can be used as a focus for interventions. For example, a patient with children may be motivated to exercise by playing with their children in the park or coaching one of their sport teams. This patient-centred model of care seeks to find common ground with clinical priorities and the individual patient’s beliefs, goals and expectations (see: “Using the Te Whare Tapa Whā framework”). In situations where there is not a longstanding relationship, or where patients are unwilling to consider lifestyle change or treatment, i.e. they are at a pre-contemplative stage of change, the clinician still needs to respect the patient’s decision-making autonomy, and work to maintain a trusting therapeutic relationship. It is important not to overwhelm patients with information.10 An “Ask, tell, ask” approach, or a “chunk and check” approach to consultations means that information is presented to patients at a controlled rate, with pauses to confirm comprehension and agreement. A discussion about a cardiovascular risk factor can be started with a question like, “Why do you think your blood pressure might be up?” Asking a patient what they will tell their family/whānau is a simple way to check what message the patient is taking away at the end of the consultation. It also emphasises the benefit of including the patient’s family in their management plan. Information that is written down and can be taken away or accessed via the internet means the patient is able to review the material on their own or with family/whanāu to improve understanding. Before the end of the consultation, ask the patient to suggest a reasonable timeframe for the next consultation, e.g. “When would you like to catch up again?”. Active management can be reserved for patients at higher risk, or who have difficulties attending consultations. More frequent consultations that are focused on specific issues may be more beneficial than longer appointments where multiple issues are addressed. Te Whare Tapa Whā is a conceptual framework developed as a way to view Māori well-being in a broad context. Over time Te Whare Tapa Whā has become a basis for developing health practice from national policy to models of service delivery. The four realms of this framework are centred on taha wairua (the spiritual side), taha hinengaro (thoughts and feelings), taha tinana (the physical side), and taha whānau (family). Te Whare Tapa Whā encourages health professionals to consider not only the physical person and their conditions, but also the other elements of the framework when consulting with patients. It is seen as being a way to both enhance the relationship between the patient and the health professional, and to support health outcomes. By linking the benefits of an intervention to the ability of a patient to participate fully in all aspects of their life, from personal to community, the patient is encouraged not to think of medicines in isolation. An example of describing cardiovascular risk management using the four elements of Te Whare Tapa Whā is shown in Table 1. Health professionals need to have a good understanding of a patient, including their whānau, beliefs, education and values in order to use the Te Whare Tapa Whā framework effectively. Asking patients what they see as being important in their life and talking about their priorities allows health professionals to gain a wider knowledge about patients they are consulting with. The current recommendation for the age at which patients should first be offered a cardiovascular risk assessment depends on a variety of unmodifiable and modifiable risk factors (Table 2). What should be recorded when performing a cardiovascular risk assessment? The recommended information required to perform a five-year cardiovascular assessment is listed in Table 3. For patients with a cardiovascular risk from 10 – 20% as clinically indicated with a more intensive focus on patients with a higher combined risk. If the patient is not taking medicines to reduce their risk then offer reassessment at one year, for patients with a risk from 15 – 20%, and every two years for patients with a risk from 10 – 15%. A new cardiovascular disease risk assessment equation based on New Zealand data is anticipated to be available later in 2014. Thank you to Dr Ron Janes, Rural General Practitioner, Wairoa, Hawkes Bay, and Associate Professor of Rural Health [Hon], Department of General Practice & Primary Health Care, Auckland University for expert review of this article. Lloyd-Jones DM. Cardiovascular risk prediction: basic concepts, current status, and future directions. Circulation 2010;121:1768–77. Paling J. Strategies to help patients understand risks. BMJ 2003;327:745–8. Lipkus IM, Samsa G, Rimer BK. General performance on a numeracy scale among highly educated samples. Med Decis Mak 2001;21:37–44. Krones T, Keller H, Sönnichsen A, et al. Absolute cardiovascular disease risk and shared decision making in primary care: a randomized controlled trial. Ann Fam Med 2008;6:218–27. Cardiovascular disease risk assessment: updated 2013 - New Zealand Primary Care Handbook. Available from: www.health.govt.nz/system/files/documents/publications/cardiovascular-disease-risk-assessment-updated-2013-dec13.pdf (Accessed Aug, 2014). Spiegelhalter DJ. Understanding uncertainty. Ann Fam Med 2008;6:196–7. Edwards A, Elwyn G, Covey J, et al. Presenting risk information--a review of the effects of ‘framing’ and other manipulations on patient outcomes. J Health Commun 2001;6:61–82. Broadbent E, Petrie KJ, Ellis CJ, et al. Patients with acute myocardial infarction have an inaccurate understanding of their risk of a future cardiac event. Intern Med J 2006;36:643–7. New Zealand Guidelines Group. New Zealand Primary Care handbook, 2012. 3rd ed. Available from: www.health.govt.nz (Accessed Aug, 2014). Edwards A, Elwyn G, Mulley A. Explaining risks: turning numerical data into meaningful pictures. BMJ 2002;324:827–30. New Zealand Heart Foundation. Know the facts. 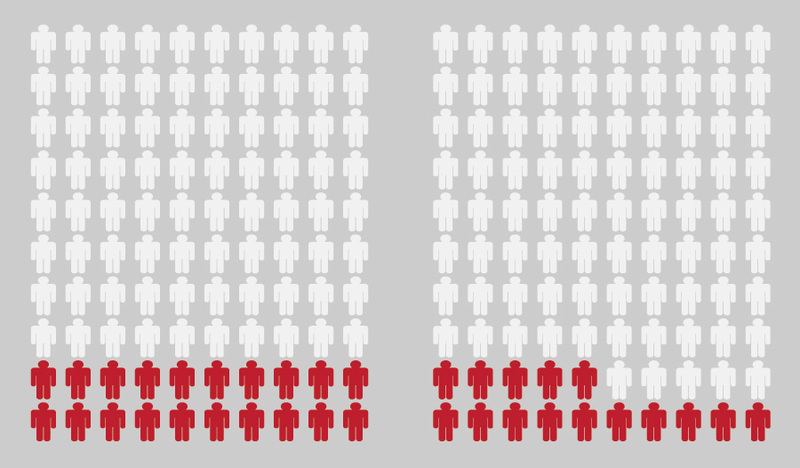 Available from: www.heartfoundation.org.nz/know-the-facts/statistics (Accessed Aug, 2014). Kerr S, Penney L, Barnes HM, et al. Kaupapa Maori Action Research to improve heart disease services in Aotearoa, New Zealand. Ethn Health 2010;15:15–31. Gigerenzer G, Edwards A. Simple tools for understanding risks: from innumeracy to insight. BMJ 2003;327:741–4. Rodriguez KM. Intrinsic and extrinsic factors affecting patient engagement in diabetes self-management: perspectives of a certified diabetes educator. Clin Ther 2013;35:170–8. Garcia-Retamero R, Okan Y, Cokely ET. Using visual aids to improve communication of risks about health: a review. Scientific World Journal 2012;2012:562637. Zipkin DA, Umscheid CA, Keating NL, et al. Evidence-based risk communication: a systematic review. Ann Intern Med 2014;161:270–80. Waldron C-A, van der Weijden T, Ludt S, et al. What are effective strategies to communicate cardiovascular risk information to patients? A systematic review. Patient Educ Couns 2011;82:169–81. Goodyear-Smith F, Arroll B, Chan L, et al. Patients prefer pictures to numbers to express cardiovascular benefit from treatment. Ann Fam Med 2008;6:213–7. Wells S, Kerr A, Broadbent E, et al. Does Your Heart Forecast help practitioner understanding and confidence with cardiovascular disease risk communication? J Prim Health Care 2011;3:4–9. Ahmed H, Naik G, Willoughby H, et al. Communicating risk. BMJ 2012;344:e3996. Moxey A, O’Connell D, McGettigan P, et al. Describing treatment effects to patients. J Gen Intern Med 2003;18:948–59. Cardiovascular disease risk assessment in primary care: the role of aspirinCardiovascular disease risk assessment in primary care: managing lipidsPrescribing ACE inhibitors: time to reconsider old habitsCardiovascular disease risk assessment in primary care: managing blood pressureGuidelines for testing, perioperative and bleeding management for dabigatran and rivaroxabanRivaroxaban: a fully-subsidised oral anticoagulantWhat’s new in cardiovascular disease risk assessment and management for primary care cliniciansA rising tide of type 2 diabetes in younger people: what can primary care do?Prescribing statins to reduce cardiovascular riskGo low or no?